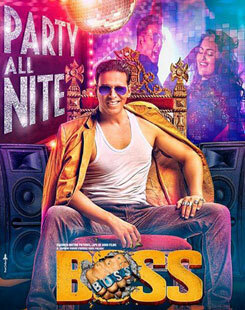 \"Party All Night Lyrics\" is a dance number from film 'Boss' starring Akshay Kumar and Aditi Rao Hydari. Yo Yo Honey Singh has sung and composed this song which is very good to listen. Its lyrics is written by Sahil Kaushal. Whisky da peg laga ke..
Itti si tu hai nahi, huh!